Government Law College, Mumbai, Asia’s oldest law institute, completed 161 years of establishment as of 5th September 2016. The foundation of this college was laid in 1855 when Sir Erskine Perry, the then Chief Justice of the Supreme Court of Bombay, used to lecture on the subject of Law after Court hours. However, these classes, being informal, were attended only by a select group of people. Thereafter, a conscious effort was made by a committee to collect funds in order to institute a Chair in Jurisprudence at the Elphinstone Institute. This was to be called the Perry Professorship of Jurisprudence, which came to be in 1855. In 1855, Dr. R. T. Reid (L.L.B Bar-at-Law & the first Judge of the Small Causes Court, Bombay) was appointed the first Perry Professor of Jurisprudence and the ‘Government Law School (GLS)’, as it was then called, was established at the Elphinstone Institution. The response to the first series of lectures conducted was overwhelming. 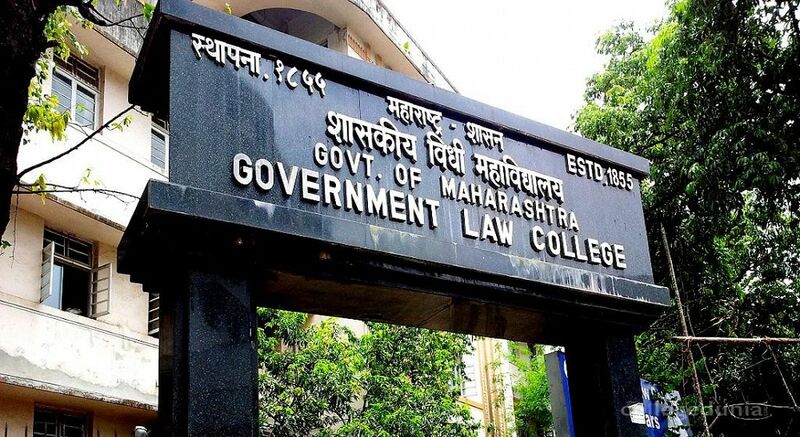 The Government Law School has been affiliated with the University of Bombay since 1860 and is, in fact, older than the University of Bombay and the Bombay High Court itself. In 1891, the Government Law School was shifted to the Elphinstone College at Kala Ghoda. Classes were held in the evenings, after the regular Arts & Science students dispersed for the day. The first Principal, L. J. Robertson, was appointed in 1895.. The name, ‘Government Law School’ was changed to the ‘Government Law College’ in the year 1925. It was only in 1938 that the college was converted into a full-time institution. It began work under the guidance of the then Principal and full – time Professor A. A. A. Fyzee. After this change of status, the Government of Bombay finally decided to allocate a plot, west of Churchgate station, for the Government Law College building, where it stands till today. A strong need for a college crest was felt in 1932-33 under the personal supervision of Capt. Gladstone Solomon, the then Director of Sir Jamshetji Jeejbhoy School of Art. The college crest depicts the traditional picture of the blindfolded lady who stands for Justice and Law. The sword and the scales in her hands denote the relentlessness and impartiality of law. At her feet is the crowned lion of the Coat of Arms of the University of Bombay. This is an acknowledgement of the affiliation with the University of Bombay. The College motto “Ne Vile Fano” is a Latin term which means “let no evil enter”. The college is proud of its celebrated alumni, several of whom went on to transform the face of the legal field in India. Dr. B. R. Ambedkar, Lokmanya Tilak, Justice M. C. Chagla, Nani Palkhivala, and several other legends who have adorned benches of the Supreme Court of India and the Bombay High Court, were once a part of this glorious institution.